Providing a consolidated news digest was the name of the app game last year. "In 2015, then, the popular path for publishers, via their mobile offerings, was to take this one step further..."
Everyone from the New York Times, with NYT Now, to Watchup and Newsbeat, which collect articles and then showcase them to users in video and radio formats, tried it. In 2015, then, the popular path for publishers, via their mobile offerings, was to take this one step further — help make sense of global happenings or at least to make the curation more personalized, sophisticated and tailored. 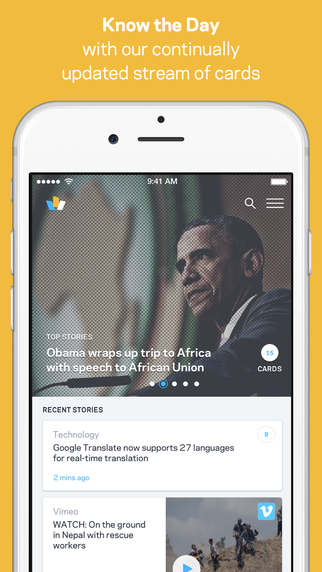 The tagline for the Wildcard iPhone app is “Know the Day.” What that means for the user is a quick snapshot of the most talked-about stories daily, presented as cards. Vox may have debuted cards as a display mechanism, but the creators of Wildcard use the device to great effect. Users can tag cards for later or sift through a pile related to a single topic from a variety of news sources. For instance, a recent collection of stories focused on class action lawsuits being filed against ridesharing giant Uber. This included a Fortune story from the perspective of Uber’s CEO stacked atop CNET’s coverage and a Fast Company opinion piece evaluating the gig economy as a whole. Taken together the coverage helps to make readers feel up to speed on an entire subject matter, not just a single news story. The fact that Wildcard is editorially curated by a staff of editors and journalists makes a massive difference. Note: Technically this mobile product launched at the tail end of 2014, but it really hit its stride into 2015. 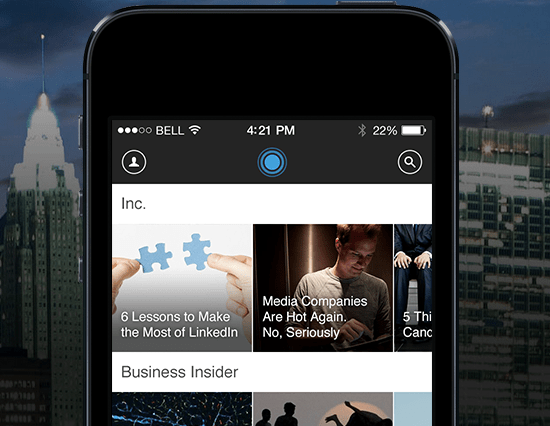 So Pulse linked up with professional networking giant LinkedIn and started from scratch on an entirely new mobile product. The result, available for iOs and Android, is the first attempt at a personalized news digest centered on someone’s profession and career. Users log in with their LinkedIn account and then automatically get access to the news of the day based on their industry and who they’re connected to and following on LinkedIn. In other words, without a lot of effort, the app recommends highly relevant articles. An extra plus: notifications each time a connection makes news. Beginning to follow reporting about the refugee crisis or climate change doesn’t mean that someone is well-versed on what led up to the current situation. That’s precisely the point of Timeline. What staff produce are articles and explanations that put news into context. Timeline is similar in many ways to Circa, whose run ended in 2015. Both feature original editorial content that is, then, broken up into atoms. Timeline, in particular, prides itself on not only summarizing compelling news stories but providing the broader history behind the issue. On top of that, some stories merit actual timelines so that a conflict can be plotted from event to event. Coverage like this deepens understanding, is more thorough and “makes everything into an epic,” as described in a profile of Timeline in Wired. 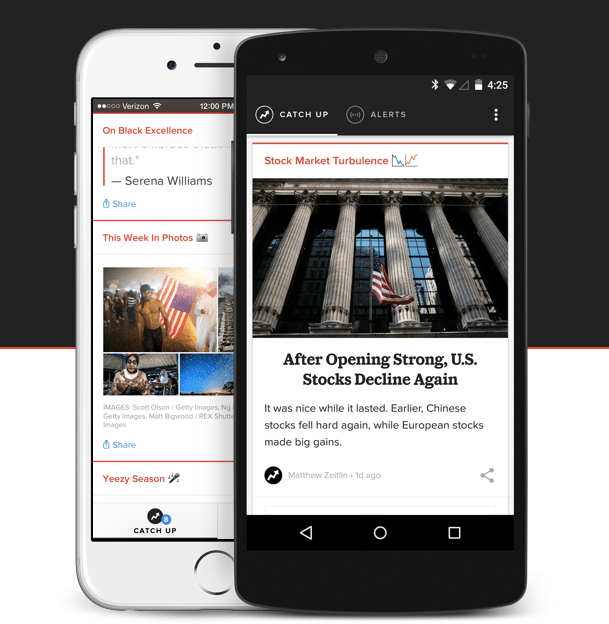 Reuters’ leadership explained the legacy company’s latest app offering as a “Netflix for news.” This is true in the sense that there’s a great ability to customize for those users who so choose to try. At its core, Reuters TV is the 5 or 6 o’clock news recalibrated for mobile. Geared toward 30- and 40-year-olds who want to skip over standard appointment TV watching. You indicate the length of the newscast that would suit your schedule and then the app create a tailor-made broadcast that fills that time with relevant updates. Offline viewing is possible by downloading the broadcast and saving it for later. And for $1.99 a month the experience can become advertising free. The best aspect is the global breadth of the videos included, which are powered by 2,500 journalists based in 200 locations around the world. For a developing situation, such as a meteor shower or hotly-contested election, there’s also the option of switching on a live feed to glimpse in the action in real time. Jim Makos and used here with Creative Commons license. A glimpse of the action in real time is the central tenet of Periscope. In 2015 this live streaming app, which is available on iOs and Android, premiered and resonated in unexpected ways. Sure, news organizations and journalists are not the only producers on the platform. 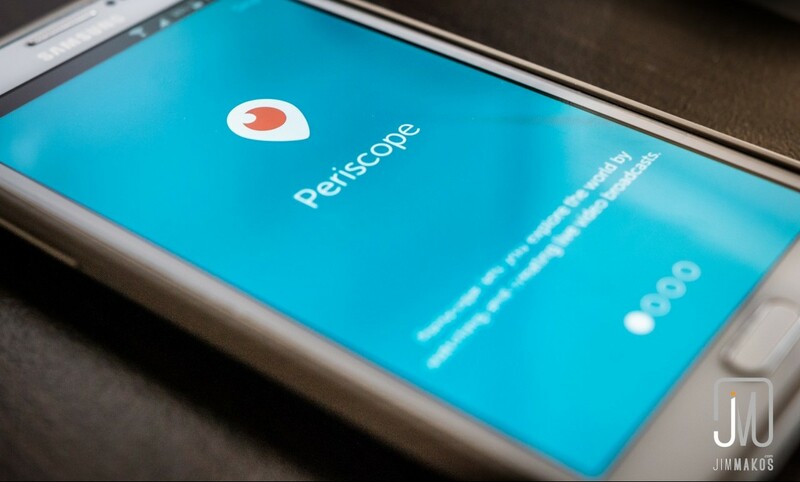 But Periscope became a new way for outlets from the the BBC to Al Jazeera to show their audiences what was happening at the scene in real time. Periscope’s promise to users is to let them “explore the world through someone else’s eyes. That was the case this past year when it came to riots in baltimore, and everything happening in between that held the public’s attention. The impact of the platform cannot be emphasized enough. Probably the most-anticipated news app of the bunch came from none other than BuzzFeed. Part of the hype came from the fact that the team behind the app were continually blogging, seeking input and hiring special staff to power the product — with this entire process playing out publicly. 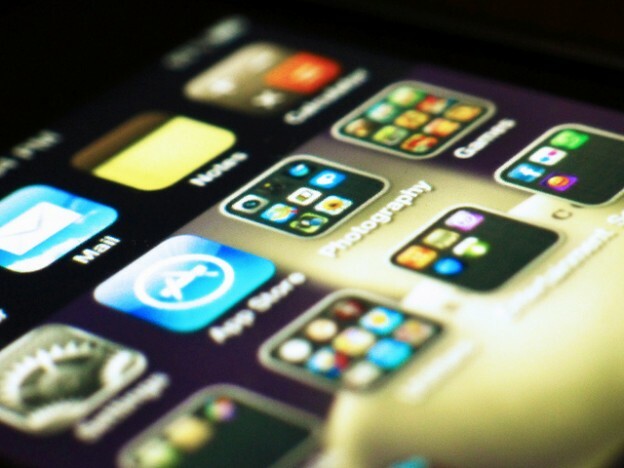 Ultimately, after almost a year and a half of tinkering, the app’s triumphant iOs release came in June with the Android version following a few months later. The result is a different feel than BuzzFeed’s more overarching app. Each morning brings with it a hand-picked selection of news stories. Beyond a worded list, though, embedded Tweets, bullet point summaries and pull quotes provide some context and bonus material. The stories don’t just come from BuzzFeed either; they represent a blend from the major publishers.